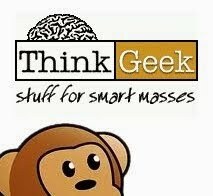 Sorry to beat a dead horse...and I promise we'll get to another company/topic very soon! But right now, some lucky guy (who is probably in deep trouble right now) got to sit in front of a display of new Captain America/ Civil War Marvel Legends 6 inch action figures and took some lovely pictures he then shared with the world...or one friend who then went OH MY GOD YOU GUYS LOOK AT THE PLASTIC!!! ...and then they were everywhere. 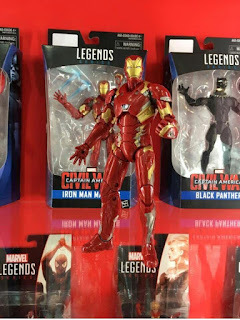 We've got images of Black Panther (Civil War Movie), Iron Man (Civil War Movie) and Nick Fury (Classic Comic), from a wave that's reported to include a Build-A-Figure Giant Man (Civil War Movie), Captain America (Civil War Movie), Nuke (Comic Version) and Red Guardian (Comic Version). ...That last figure wins the "did not see that coming" award. I don't think I've ever even read a comic with Red Guardian in it. 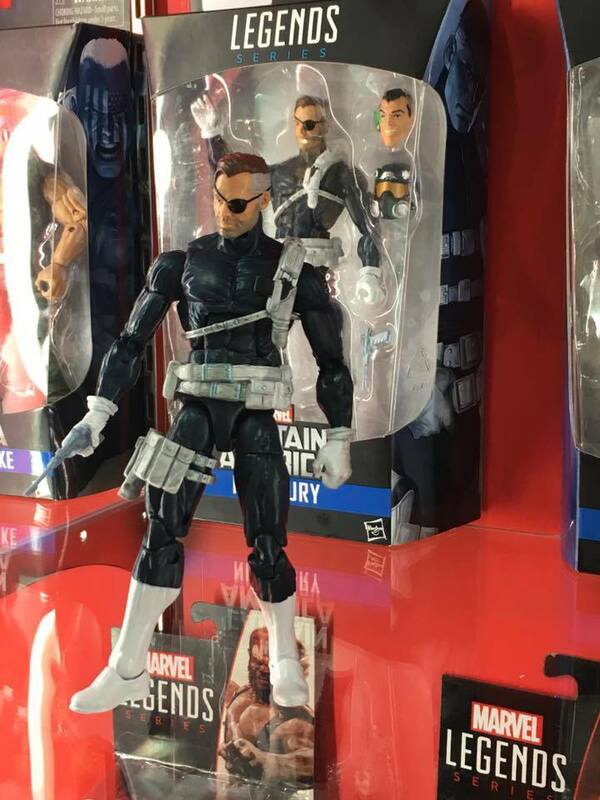 Of note will be what is most likely a Dirk Anger alternate head in the Nick Fury package, along side a gas mask head, making this instantly the most saught after army builder of the year. AGENTS OF SHIELD, BABY!! Black Panther comes with an alternate unmasked head. 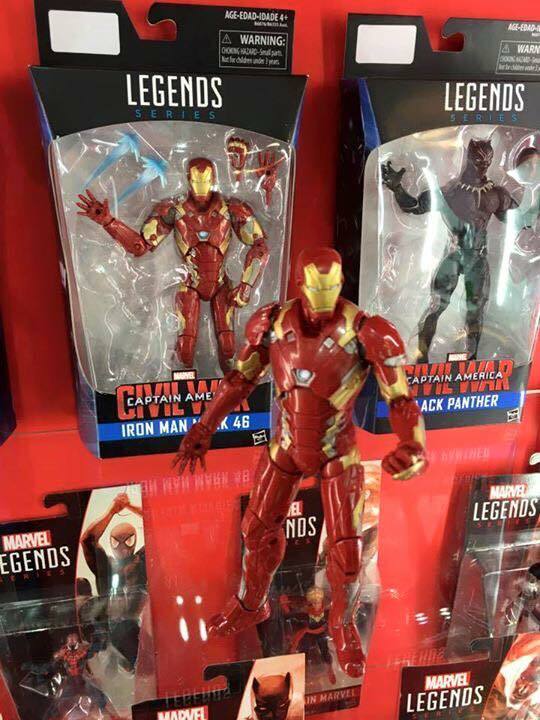 Iron Man gets alternate hands and repulsor blasts. Nuke looks HUGE by the looks of that massive arm in the Nick Fury shot. Maybe..too huge. Most likely it's the same Nuke we got a teaser for at San Diego Comic Con last year. Collectors pouring over the pictures have noted those empty spots for the build-a-figure pieces seem terribly small. Judging by past figures, it seems Giant Man isn't going to be very gianty. One final comment. #WheresFalcon ??!! 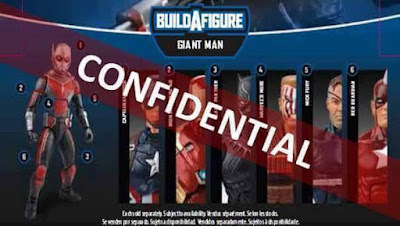 Since I heard that it was a movie Giant-man BAF, I'd been thinking that he'll probably just look out-of-scale, rather than like he's supposed to be giant - unless it was split over two waves. That picture above confirms that it is only the six parts. I can see something there that suggests he'll have telescopic limbs, like the "Spider-man & Friends" Mr. Fantastic did. 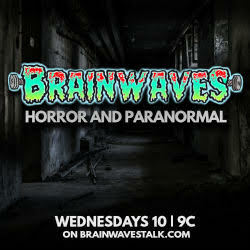 This is going to be such an embarrassing BAF. Okay, I've just seen new pictures of these and I can see that what I took to be a telescopic wrist is actually part of Nuke's gun. (Of course, the main picture on the card back wouldn't be the BAF anyway, would it?). 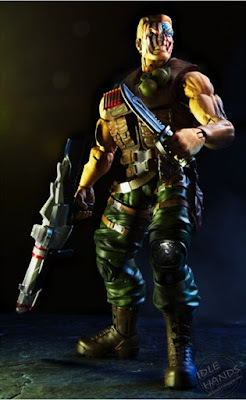 The BAF actually does look a good size for a Hasbro, after all. 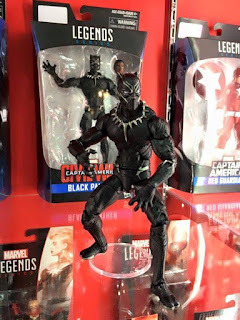 It's no Toybiz BAF, but it seems to stand 65-70% taller than the single figure - maybe about the height of the Pitt BAF, (obviously much slimmer, though). Thank you man, I really do enjoy watching your Marvel Legend collections ..... 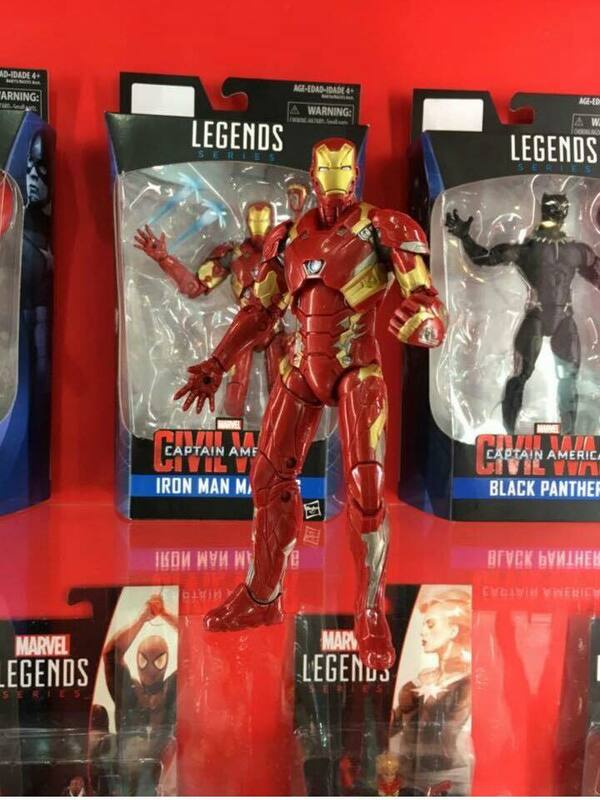 This Iron Man looks incredible ..I like the way it turned out!